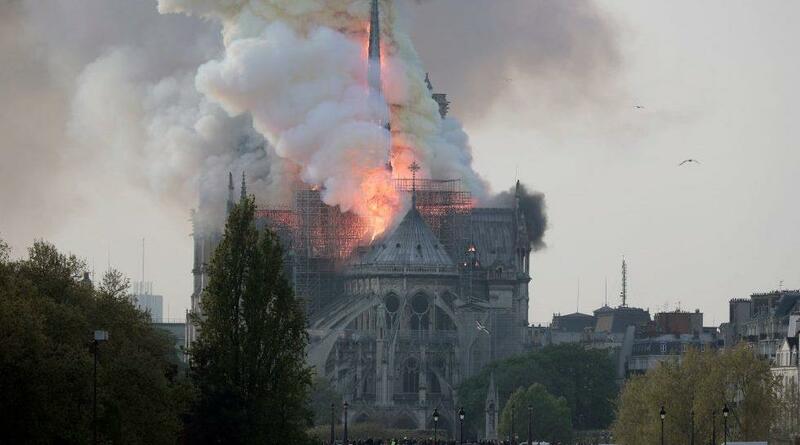 Paris: A fire has broken out at the famous Notre-Dame cathedral in Paris and has spread rapidly across the building. A major operation to tackle the blaze is underway at the 850-year-old Gothic building, but the cathedral’s spire and roof have collapsed. The flames and smoke plumed from the spire and roof of the gothic cathedral, visited by millions of people a year. President Emmanuel Macron canceled a major televised policy speech. Paris mayor Anne Hidalgo in a tweet described it as a terrible fire.US President Donald Trump told the incident horrible.